This guy….has been lying to you for long enough. Do you want a long-term partner who actually cares? WEB DESIGN BASED IN CAPE TOWN. Looking for Web Design Cape Town? We create beautiful, custom websites that showcase what your company has to offer, helping you grow your business and increase your sales. Good website design is primarily focused on creating “Great Content” that answers the search that potential customers performed in Google, structured in an attractive format that entices your visitors to browse your site and contact you. With our web design Cape Town, we help you show people why they should choose your business. We specialise in crafting websites that are beautiful, functional, and accessible. WANT TO APPEAR ON GOOGLE? A question we often get asked is “why is my website not showing up on Google”? 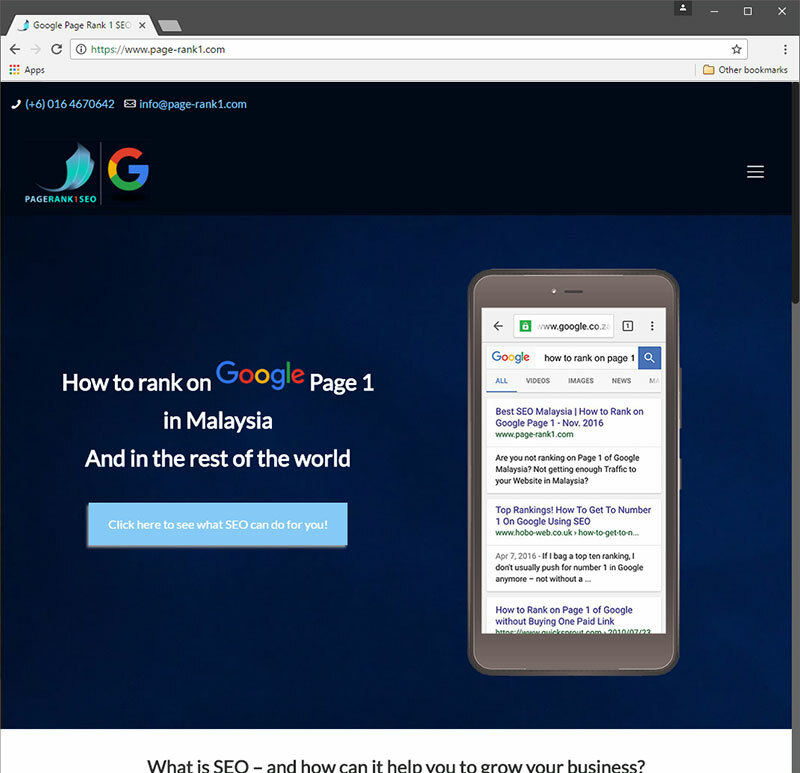 The short answer is that you need to prove to Google that your website is the best source to provide the answer to someone’s question, and it takes time to tick all of Google’s boxes. If you engage a SEO company that only focuses on rankings, not revenue, you have probably made a bad choice, All Oonie cares about is how many new customers we can drive to your business. Online shopping is a growing market in South Africa, and across the world. More people and more people are taking advantage of the convenience of online shopping every day. Whether you are starting up a new online shop, or your current online shop needs an overhaul, we can help get your shop online and selling! AdWords is a faster, though potentially more expensive, way of getting traffic to your website than organic SEO. Every time someone clicks on your AdWords listing, you pay Google directly for that click. We believe that social media, when used as part of an holistic online marketing strategy, can be an extremely successful way to amplify your message and engage core audiences. It is also becoming an increasingly important part of search engine optimisation (SEO). Whether your products are big, or small, we can provide a service to take beautiful images of them, because we know that you need images of your products that showcase them to their full potential on your website. Oonie is one of South Africa’s leading inbound marketing agency. Our ground-breaking online marketing methodology enables businesses to take control of their marketing budgets and deliver cost-effective results. GRAPHIC DESIGN BASED IN CAPE TOWN. Looking for Graphic Design in Cape Town? We create beautiful, custom graphics in line with your branding. Oonie is the best rated WordPress web design and SEO Services company in Cape Town. Our other core activities are professional Google Adwords campaigns (PPC), online marketing campaigns, Graphic Design and Product Photography for your (E-commerce) websites. Whether you want a website, great SEO results, awesome PPC; or you are struggling to get enough online enquiries and sales from your website – boost your sales through professional SEO and, if needed, Google Adwords by contacting us. We can help turn your website into the kind of profit- generating tool it should be. Let us make your website your most powerful sales tool by getting great Google rankings and stand out from your competitors. Most SEO/PPC agencies have it wrong because they focus on rankings, not revenue. All we care about is how many new customers we can drive to your business. We understand that your design is a reflection of your brand and your company’s personality. To generate the best designs for your business we really get to know you and what your company stands for. What a great experience to work with such professionals. Nothing was too difficult and no time was inconvenient despite dropping you with a last minute brief and a tight deadline. Thank you Lindsay! It’s great to know that there are still organisations out there who can produce quality work AND customer service. I wanted to take a moment and let you know how happy we are. You have designed a fantastic website for us and have show great knowledge in regards to SEO and PPC best practices as well as optimization strategy and management of www.myspace.co.za .Most importantly, you have obtained results, and that is an undeniable measure. We used Lindsay to revamp our business cards. She did a stunning job and was a pleasure to work with. We highly recommend her. I took a very rough corporate identity and logo design to Lindsay, and with her help we soon came out with an impactful and bold business identity, logo, website design and training manual design that perfectly complement what we are trying to do. Lindsay was great to work with in terms of exploring and bouncing ideas around and was a real source of enthusiasm and creative thinking throughout the project. I will definitely be using this talented lady again! I had a website which ranked high on Google, but had hardly any conversions because it looked really very bad and amateurish. I heard from friends about Oonie and decided to have them completely re-do my website, with the constraints that it should not affect my Google rankings or fast page loading speed. Since then we were in touch on a near daily basis, which was very reassuring. When they showed me the final version I was so happy with the results! So I asked Oonie to also help me with my company’s branding, logo, business cards and letterhead. Again the results were stunning. I brought my new website live and since then the requests for quotations are coming in big time. I had to hire two IT graduates to help me out on all the new work that my company got. I can definitely recommend this professional and customer friendly Web design and SEO company to anyone. Oonie and my company now work closely together on some large SEO projects, which is great fun. We would like to commend OONIE on the work the team is doing, particularly in the area of smart business and market intelligence solutions. It’s with great pleasure that we find this opportunity to thank you guys for the job well done in designing our Kulani Media (Zambia) website. Simply the best website! Well done on your efficient delivery, your talents are well expressed, your creativity and excellency in customer care and service delivery. We won’t hesitate to recommend any business to you, at any given time and place! Lots of that’s and a big shout out to OONIE. KULANI MEDIA – Management Zambia. I am very happy with your work and your attention to detail and for achieving it in the required time. Excellent service. I had a website which ranked high on Google, but had hardly any conversions because it looked really very bad and amateurish. I heard from friends about Oonie and decided to have them completely re-do my website, with the constraints that it should not affect my Google rankings or fast page loading speed. Since then we were in touch on a near daily basis, which was very reassuring. When they showed me the final version I was so happy with the results! So I asked Oonie to also help me with my company’s branding, logo, business cards and letterhead. Again the results were stunning. I brought my new website live and since then the requests for quotations are coming in big time. I had to hire two IT graduates to help me out on all the new work that my company got. I can definitely recommend this professional and customer friendly Web design and SEO company to anyone. Oonie and my company now work closely together on some large SEO projects, which is great fun. Oonie is Cape Town’s best rated SEO and WordPress Web Design company. Our other core activities are Google Adwords campaigns (PPC), online marketing campaigns, Graphic Design, Product Photography and Web Hosting.